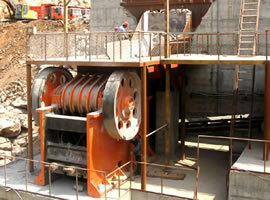 Technology upgrade of crusher is crucial for mining machinery industry. During the rapid development course of socialism in China and under the powerful promotion of modern urbanization construction, mining machinery industry should continue to keep a steady technology upgrading and reinforce the management on quality and performance, in order to make our mining machinery and equipment develop to automation, modernization and intellectualization. So to be the professional manufacturers, we must devote ourselves to researching and developing high-performance crushing products in order to open up a new and thriving direction for the future crusher industry. Technology reform is of top priority in mining machinery industry. Therefore, we must get a clear understanding of the situation, keep pace with the development tendency and apply new development philosophy to practical actions and the R&D course. 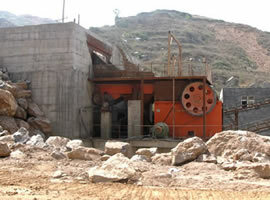 Thus the mining machinery industry obtains great progress, in return, it also brings in new development opportunities. Fote Machinery has grasped this important point and has been working towards this end. We put technology upgrade in a crucial position during the advance of mining machinery industry. We believe that by giving technology upgrading the top priority, Fote Machinery will be bound to usher in a new and bright tomorrow. If you have a need of crushing equipment, sand making equipment, milling equipment, ore dressing equipment and so forth, please visit our website to get more information. You can consult our online service, leave us a message or send us an email. We will reply you as soon as possible.